Texas voter turnout is huge this year. But here's who doesn't vote. With everyone crowing about the rush of early voters in Texas this election, it's worth noting that we're still a state with low overall voter turnout. We run the numbers. With two days of early voting left before Election Day, 2016 is shaping up as a record-breaking year for Texas’ electoral participation. In some areas of the state, the number of votes cast early has outpaced in-person early voting during previous presidential elections. Exciting? Sure. 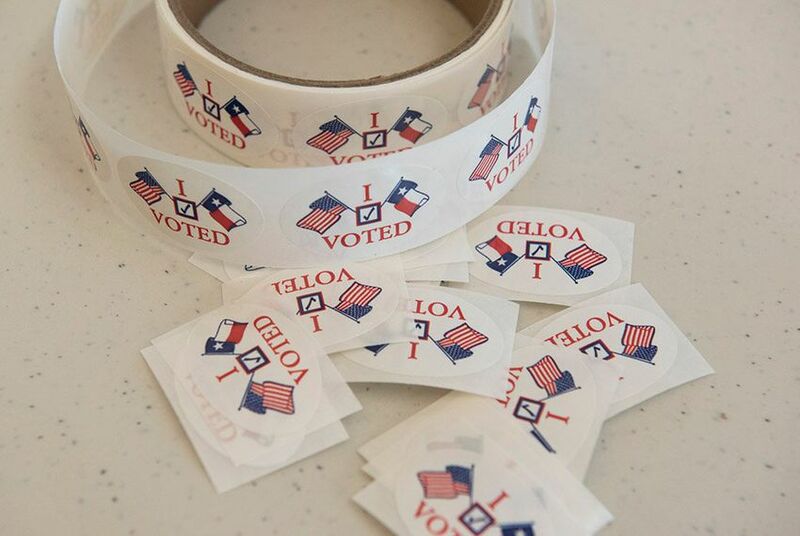 But this year’s high voting tallies do little to change Texas’ history as a state with some of the lowest voter turnout rates in the country. For every 10 adults, more than four — but fewer than five — have voted in each of the past 10 presidential elections. Election watchers cite all sorts of reasons: voter suppression, voter apathy, voter ID requirements. Low turnout is not necessarily a minority thing. A larger share of adult black Texans voted in the 2012 presidential election than any other racial or ethnic group. Hispanics and Asians have far lower turnout rates even when their participation rates — like most of the state — are higher during presidential elections than midterm elections when Texans select their governor. Despite the high turnout rate among black Texans, whites and Hispanics cast more ballots because their population numbers are much bigger. Still, millions of white and Hispanic adults did not vote. Broken down by age group, a smaller share of younger Texans cast ballots in the 2012 presidential election, while the 65 and up crowd had the highest turnout rate. Broken down by counties with 10,000 or more adults, those where the median age was higher saw a higher percentage of adults vote in 2012. Note: Older Texans, particularly those older than 65, are predominantly white. Meanwhile, young Texans are much more diverse. Voting patterns are less clear when it comes to socioeconomic characteristics. Despite having the highest share of residents older than 25 with college degrees, Collin County’s turnout rate wasn't anywhere near the highest turnout rates among counties with an adult population of 10,000 or more. And counties with the smallest shares of college-educated adults did not have the lowest turnout rates. Turnout rates in counties with 10,000 or more adults did slightly increase in counties where the median household income was higher. Lastly, registered voters don’t equal actual voters. Texas announced in October that a record 15.1 million adults had registered to vote in the Nov. 8 election, but it’s unlikely that all of of them will cast a ballot. More than 5 million registered voters did not participate in the 2012 and 2008 elections. At the close of early voting on Tuesday, more than 3 million voters had cast ballots in Texas’ 15 counties with the most registered voters.